Sometimes Roughing It Pays Off. Andie Case Is On Her Way to Megastardom. Singer and songwriter Andie Case is a powerful and relentless talent whose music showcases the heart and life of a not-so-ordinary girl. Born in Eugene, Oregon, Andie is one of seven children. At 18, Andie left home and struck out for Los Angeles in her ‘93 Pontiac Bonneville. She was determined to make her mark in music, and L.A. was the place to be. She couldn’t afford a place to live and so she camped out in her car. For six months. That’s guts. Soon Andie met singer/songwriter Ajay Marshall. He recognized her talent, original voice, style, and determination and brought her into the studio to record for the very first time. Andie and Ajay worked together for the next couple years sculpting her skills as a singer and developing her into a compelling songwriter. Andie knew she wanted to reach a massive audience and though she wanted them to hear her original music, she realized that sometimes you have to do covers to get people to pay attention to your originals. So she posted cover videos on YouTube and they took off. In spring 2016, she released her debut single "Coming Around" to high praise. She released a second successful single "So Low" in November and by December, Andie had offer to her first national tour. Today, Andie seems unstoppable - confident in her presence and talent. Her songs have catchy, soaring hooks arranged to optimize on her range. She digs deep to express love, loss and everything that comes with finding herself in the face of adversity, believing in herself so much that her fans believe in her too. Through everything, you feel that rebel, determined to make her own way, to write her own future, to manifest the mega success she has clearly imagined. She’s a star. A star of her own design. Check out all of her submissions on the Megastar app. We have a feeling you’ll be seeing and hearing a lot of Andie Case in the years to come. Talented. Charming. Beautiful. And fighting for a cause. Monique Benabou is talented, motivated, beautiful, and has a strong base of support in Alameda, Ca., where she grew up. But this wasn’t always the case for the 29-year-old singer/songwriter. As a teen, Monique was the victim of verbal and physical bullying by her fellow students. In her junior year of high school she got her GED and got out. To overcome her personal hardships with bullying, Monique dug deep inside herself and stopped asking permission to be herself...and...Monique is amazing. Her voice reaches deep, surfacing the emotions she feels so strongly. She’s developed her own style, and it had Megastar Fans raving as they propelled her all the way to the top five in the first global Megastar talent competition. Monique Benabou is a model for us all. Don’t let others define you. Define yourself. What You See Is Real With Adam and Kizzie. And what you get is 100% real. Real love. Real talent. These two love music almost as much as they love one another. #RelationshipGoals. Adam and Kizzie make a great team because they’re both incredibly creative and have a long history with music. At the age of 6, Adam was already performing as a piano soloist in his mother’s choir. When Kizzie was 3, her mother noticed that she had a knack for music and encouraged her to sing in her church choir. Now, Adam writes music, plays the keys, sings, and is the beatboxer of the duo. Kizzie writes lyrics and sings. Together they make fun and soulful music. Although Adam and Kizzie have their family and friends’ encouragement to continue to perform, they’ve shouldered the financial burden of creating music on their own. So what would the $1 million dollar prize mean to them? Both Adam and Kizzie agree that winning it would allow them to continue to share their music with the world with the same quality we’ve grown to admire in their Megastar submissions. You can see all of Adam and Kizzie's submissions on the Megastar app! From down under to the top! The Real Chantel C is clearly one of the most hard-working talents out there. Not only is she a star on the Disney Channel in Australia 🐨 (where she’s from), but she’s also a biomedical student, all while managing to push herself to perform as a solo singer with the voice of an angel. And hard work pays off. Literally. During the Meet Usher Live Streaming Contest, Chantel earned the most gifts from backers, earning her the right to be at the Megastar App Live Finale event with Usher. Her fans believe in her and are willing to put their money where their vote is. And with a long history of singing, it’s no wonder they do. According to Chantel’s father, she’s been singing since before she could talk, but she started taking professional lessons at 9 years old. Hear her effortless talent in her latest video for the Grand Finale on the Megastar app. It’s the Final 5 showdown. That’s right. We’ve hidden the rankings! (gasp) This way, you can consider each one with a fresh eye and ear. Vote for your favorite(s) and share their performance(s). The next day, vote for your star(s) again. Your vote is the only thing that matters now! Your votes 🗳 will decide the placement of these 5 winners. There will be no Ranking number. In their place, you’ll see a ribbon indicating that they are the finalist competing for cash prizes. Your votes will decide the final order. We’re counting on you to vote! As a performer in the first Megastar app competition, Jimmy speaks about his experience on the app - expanding his reach, being able to be in direct contact with many more fans, and boosting his confidence. At 19 years old, his prodigious talents, his singing, his phrasing, and his songwriting all earned him a seat in the Megastar Finals Rounds. Something tells us that we’ll be seeing a lot more of Jimmy in the future...we are huge fans of Jimmy and his talent. Whatever the song, whatever the range, Jimmy gives every performance his all, lacing each with emotion and style that feels like it comes from someone much older and more experienced. See all of his submissions on the Megastar app! And see why Jimmy Levy’s contagion caught on and brought him to the Megastar Grand Finale Top Ten! Mahalia Jean Pierre in this Week's Meet A Megastar Series. Mahalia Jean Pierre is the glass-half-full type. Now 21, this single mother is determined to use her natural talent to provide a better life for herself and her 18-month-old son, Hawke. For a short time, Mahalia and Hawke found themselves homeless. But with sheer grit, she overcame her situation and other seemingly insurmountable obstacles. You’ll hear it in her music, see in her performance, and feel the heart and passion she brings to the Megastar competition. Get to know her during her next live stream on the Megastar app. You read that right, 👉YOU👈 (FANS AND PERFORMERS) have another shot to meet Head Judge and Chief Creative Officer Usher at the Megastar's Live Finale Event in Los Angeles. If we've piqued your interest please read on. Can you believe that the Finals are here?!? 😱 After several weeks of Heats and two Finals Rounds, we are down to 80 Performers, and with this more select pool of talent (where the synchronized swimmers at??) comes big opportunities. Question for all the Performers out there: Have you been livestreaming? Hope so! Fans: you been watching some streams? You oughta be! Starting this November 24, 2017, at 21:00:00 UTC (convert to my timezone), Megastar will be starting the Megastar Mini Competition in which the top three livestreamers (1-3 in the Most Famous Performers leaderboard) will be invited to meet Usher at the Megastar Live Finale Event in Los Angeles. 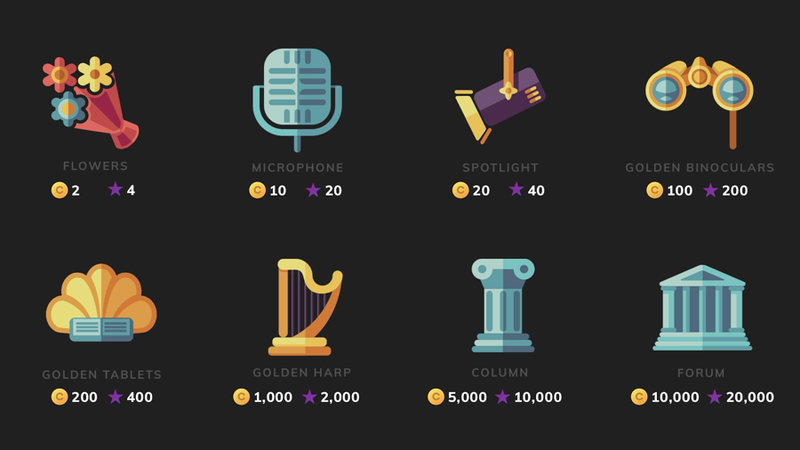 Performers, you may have noticed a little something called Fame Points that have you scratching your head. (Honestly, stop. You’re gonna need a healthy scalp for the contest.😬) Those Fame Points are important! The three top Performers with the most Fame Points will be the lucky ones to get a mentoring session with Usher. "WHAT?! Now I get what Fame Points were for! How I do I get them?” you exclaim (creating the perfect transition to talk about Fame Points). Plainly, Performers get Fame Points whenever they receive a Gift from their Fans. Fans can give Gifts to Performers on their Profile and/or during a Performer’s livestream. This is what it comes down to. Check out the Megastar Live FAQ. At the end of the Megastar Mini Competition, the top three Backers who give the most Gifts will be invited to the Megastar Live Finale Event! The Meet Usher Livestream Competition goes from Friday, November 24, 9pm London time until December 2, 9pm London time, so you’ll have a full week to make it happen. There is a ton of talent out there that you don’t want to miss. Jump on the app, and see what’s happening! Vote. 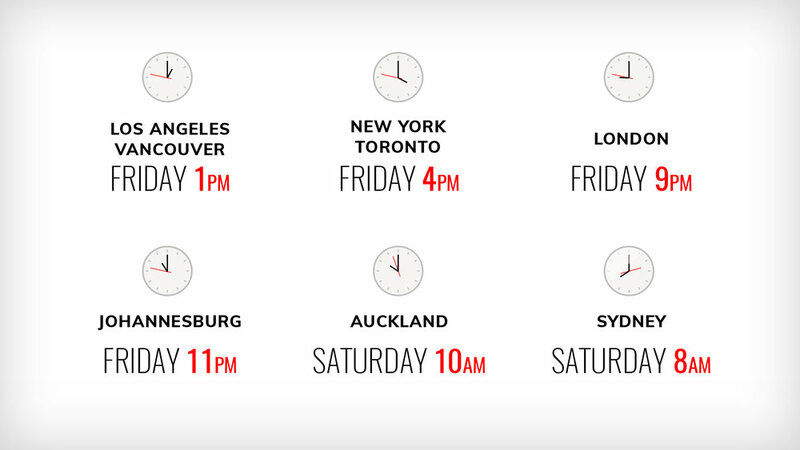 Watch a livestream. Back your talent! No catch but there are Official Rules for the Megastar Mini Competition. Everyone knows the top winner in the Megastar competition will win one million dollars. 🤑 That’s huge. But what about other prizes? Is it only the big kahuna that wins? THERE WILL BE 20 CASH PRIZE WINNERS IN ALL! FOR A TOTAL OF $1,092,500. 🎉 🙌 🎉 Yep. Count ‘em. The top 250 people will graduate to the next round. Finals Round Three: The 50 people chosen from Finals Round Two will compete in Finals Round Three. From there, 10 will move onto the Grand Finale with the top 5 winners receiving $2,500 each! The Grand Finale: Okay we’re coming down to the wire now. Ten people competing. Bodacious talent facing rarified talent. Vying for the million. But only one person will win that million. That said, the top five will all win: #5: $10,000. #4: $15,000. #3: $20,000. #2: $25,000. And #1, we’ve said it before, $1,000,000. 💵💰💵 That’s a lotta scratch! And how will performers climb their way to the top? Fans, like you, loving them and voting for them. You have good taste. You are a trendsetter. Turn your friends onto your favorite Performers and help the artist of your choice. What’s new? Well, during the finals rounds we’ll see all new submissions from Performers competing in each of the rounds. Download the Megastar App and vote for your favorites! Chloe Temtchine hails from California with an inspiring original, Breathe, that draws on her experience with pulmonary hypertension. Her video is made with love, featuring children who share her condition lip-syncing along with Chloe’s moving performance. Megastars make a difference, and Chloe embodies that beautifully. Jimmy Levy dedicates his impassioned performance of Sam Smith’s Too Good At Goodbyes to the late Hannah Stone. His vocals reach heavenly heights without faltering. Levy has broken through to the first round of Finals despite the plethora of musical artists contending to be a Megastar. Will this Floridian bring the heat and make it to the Grand Finale? Andie Case from Alabama manages to capture the spirit of pop, punk, and R&B in her incredible rendition of Alicia Keys’ If I Ain’t Got You. In addition to her passion, this girl’s vocal control is incredible! Andie makes her case to be the next Megastar with this one. From the Garden State, Mike Archangelo take Sia’s megahit, Chandelier, strips it down and bares an intimate and powerful performance. With vocals that climb from a gentle falsetto to anthemic heights and guitar skills to match, could Archangelo be a herald of Megastardom to come? Dryden Glod from Illinois makes the impossible look easy! Whether he’s levitating objects or transforming them. You can stop and rewind the video as much as you like — his tricks are seamless. Could Dryden pull off the ultimate trick and transform himself into a Megastar? In Megastar’s new Mentoring Minute series, Usher 🙌 shares his wisdom on what it takes to push for success, to overcome challenges, to get yourself psyched, to deal with criticism and a lot more. Get the app and meet your mentor; he’s a very inspiring guy. This week we’re sharing three of his Mentoring Minute videos. If you want to inspire audiences, you have to feel inspired. Inspiration is the drive that will push you forward to success. 👌 It’s the quality that will draw people to you. It’s the idea, 💡 the production and everything that surrounds it. Find what thrills you, share it, and don’t be surprised when others share your enthusiasm. 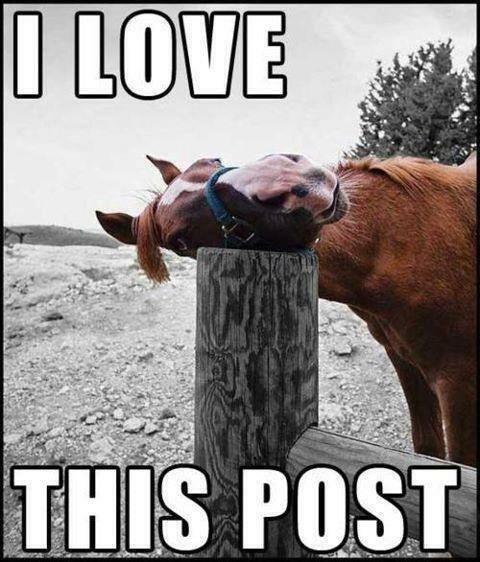 When you post, think about it carefully. 🤔 Ask yourself how you want to be perceived and tell your story. Edit. One of the most important things to remember in this always-on digital age is that whatever you post becomes part of your history, of your personal narrative, of your artist footprint. Make sure it represents you the way you want to be represented. It can take time, but once you’ve identified what inspires you, dedicated yourself to pursuing it, remained authentic, and overcome your fears, that’s when you can stake your claim. Show ‘em 😎 what sets you apart, what makes you different, what makes you undeniable, and wear it like a badge in everything that you do. Watch Usher’s Mentoring Minutes and plan to be inspired. -- it’s about pioneering a new way for artists to connect with audiences from around the world in ways they’ve never had before. Yeah, Usher, who not only earned himself a record contract with Sean Combs (Brother Love, formerly, P.Diddy/Puff Daddy/Diddy. Did we get them all? 😜) when he was just 14-years-old, but who helped guide Justin Bieber to the success that he is today. Usher believes in Megastar. ⭐ He’s recorded a manifesto for you that dives beneath the surface of his dedication. It’s his stake in the ground, a powerful and passionate statement of the reasons he believes Megastar could be your vehicle to success. 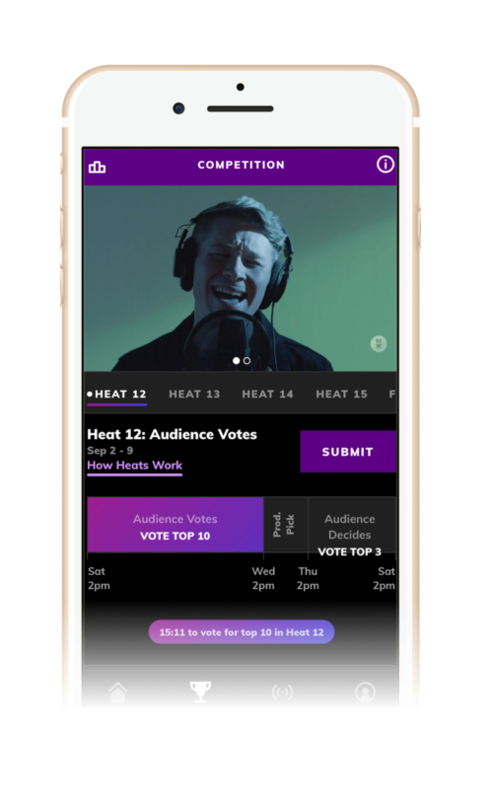 But you don’t need to be a performer to participate; this Megastar app, this grand competition is built for fans. Because it’s fans like you who will drive performers to success, fans like you who will propel performers— by watching, voting, tipping, commenting, sharing, and promoting — to win big cash prizes. And elevate one extraordinary performer to the ultimate prize, to become our first global Megastar. To win $1,000,000. Megastar is lucky to have Sarah Lloyde competing! Sarah hails from Australia where she started pursuing her passion for singing at a young age, winning local and national competitions at the age of 10, years later making her way into the top 24 of Australia’s The Voice. Don’t miss her rendition of Christina Aguilera’s “You Lost Me” –– you won’t want to lose track of this Megastar. Karo Jasper out of Canada does his country proud with moves as sweet as maple syrup! He’s undeniably smooth and so is his cohort, @fashionr, as they switch in and out of call and response and synchronized choreography with ease. The way Olanrewaju’s body twists and floats as he moves make you wonder if he doesn’t moonlight as a marionette puppet. Another contestant repping Canada, Olanrewaju, certainly shows a passion for contorting body in way that will astonish you. Heat F auditions end at 2pm Pacific Time on Saturday! Hi, I’m Robyn, your new Megastar Community Manager. I’m super excited to join the team and the community here at Megastar app and help Performers grow your audience and showcase all of your amazing talents to Fans so they can vote for the next global Megastar! I’m here to not only be your biggest cheerleader but to help you get the most of the app and the Megastar community. I want to help foster a supportive and enthusiastic community for both Performers and Fans. Showcasing your talent to a global audience takes a ton of confidence and I want to help you to embrace it, own it and share it. I’m here to talk to and listen to all of our users and take your thoughts and suggestions on how to make Megastar better and support your needs. Also, I’m here to talk about and enjoy all of our talented Performers like every other fan! Find me in the app, on this blog and lurking around all our social media, if you use #MegastarApp, I’m going to see and read what your saying. I may even participate in a live stream or two. I’m passionate about strong and supportive communities as well as building meaningful connections through technology. I think Megastar is the perfect place to do that and I want to work with all of you to ensure we are delivering the best content and Performers for you to vote on. Little known fact about myself: I’m a huge Harry Potter nerd, I have a tattoo and host a podcast so if you see me in the app and want to talk Potter let’s do it! Looking forward to hearing from everyone and finding the next global superstar together! 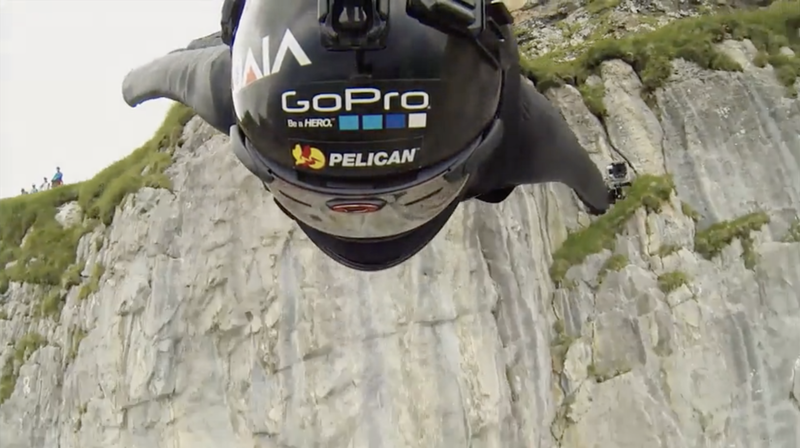 Jeb Corliss is both a real life Megastar and your mentor on the Megastar App! Meet Jeb Corliss, professional skydiver, BASE jumper, wingsuit pilot, and the latest celebrity judge in our worldwide Megastar competition. Whether he’s diving from thousands of feet in the air to thread narrow caverns with only inches of clearance to spare, or swimming outside of a cage to pet Great White Sharks off the coast of Mexico, Jeb Corliss is a performance artist on the grand scale. At a young age, Jeb knew that he wanted to do great things (or at least nothing more than simply defy gravity). And fly he did! After all, this guy grew up capturing rattlesnakes 🐍 and poisonous spiders 🕷 which he kept as pets. BASE: the various structures that jumpers launch off. Buildings, Antennas, Spans (bridges), and Earth (cliffs). In his late teens, shortly after learning to SCUBA, Jeb discovered BASE jumping and at age 18 he started skydiving in preparation to become a BASE jumper. After completed four years of BASE training, he made his first jump off a Northern California bridge, and has continued making leaps ever since. Over his nearly twenty year career, Jeb has completed over 1,000 recorded jumps - from the Golden Gate Bridge in San Francisco, to the Petronas Towers in Kuala Lumpur, Malaysia. He plans to fly along the Great Wall of China. As if jumping off of extremely high places wasn’t hard enough, Jeb has added a new challenge to his repertoire! 😧☠ As a proximity flyer, Jeb pops helium balloons with his head at high speeds just feet away from colliding with walls and cliffsides. He has been profiled by The New York Times, Men’s Journal, Rolling Stone and more. His many television appearances include Good Morning America, Today, The Colbert Report, ESPN’s E:60, and Conan. Jeb has also starred in several documentaries, and was the original host of Discovery Channel’s Stunt Junkies. Now, Jeb stands as a reminder that Megastar is a platform where everyone can show their talent. The discerning eye of someone as dedicated, passionate, and talented as Jeb makes him the ideal judge to help us find the world’s next Megastar. If you’re an extreme athlete or adventurist that has turned your talent into an unlikely performance, Jeb may just be your champion and mentor!